Elegant Engagements Wedding and Event Planners: It's Spring!! I am so ready for Spring - I need warm weather and can't wait to start gardening. 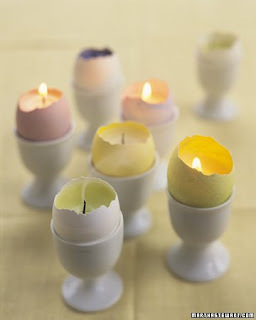 Decorate your home with some easy Spring accessories - perfect for Easter and the next few weeks. Hang a bright floral wreath on your front door - Either silk forsythia or pansies. Pull out your crisp white linens. For your Easter table give everyone a chocolate bunny, set egg candles around (unscented to not disturb the ham) and put the potted plant down into an Easter Basket as a centerpiece. The Tulips or Daffodils will be great for the next few weeks then plant them outside! Don't forget to dye some eggs!! My husbands family plans to do this on Saturday night.